The buddies golf trip is probably as old as the game itself. 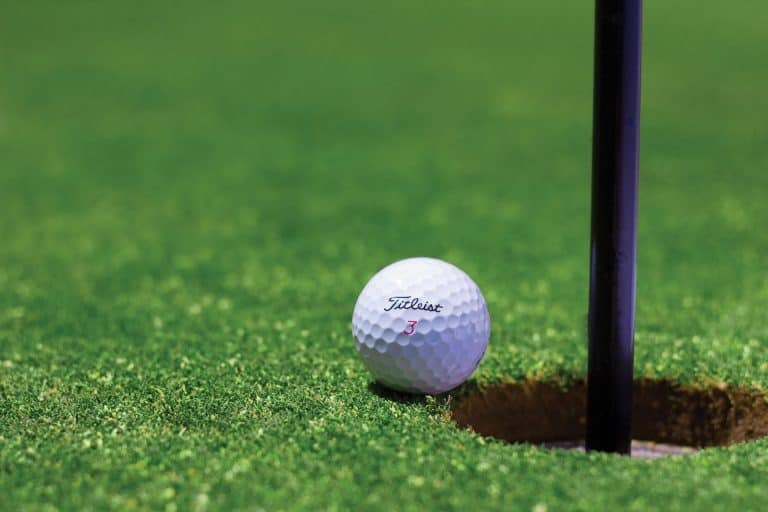 The best golf trips for guys require a location with a variety of great courses, plenty of fun bars and nightlife, and an assortment of other activities to pass the time when you aren’t playing golf. I wonder if Old Tom Morris would gather some of his friends together and take a road trip to a far away links course. Nowadays you don’t have to throw the clubs on the back of a horse like they did. The entire globe is fair game for destination golf. Here are some great destinations to try for some of the best golf trips for guys. Myrtle Beach is the perfect buddies golf destination. It has everything you would want…a huge selection of courses, a wide range of difficulty, more bars and nightclubs than you can possibly visit in one trip, a nice beachfront to relax if you have some non-golf days, and a great selection of hotels and resorts ranging from budget rooms to luxury resorts. The sheer number of golf courses in Myrtle beach make it perfect for first timers and repeat visits. 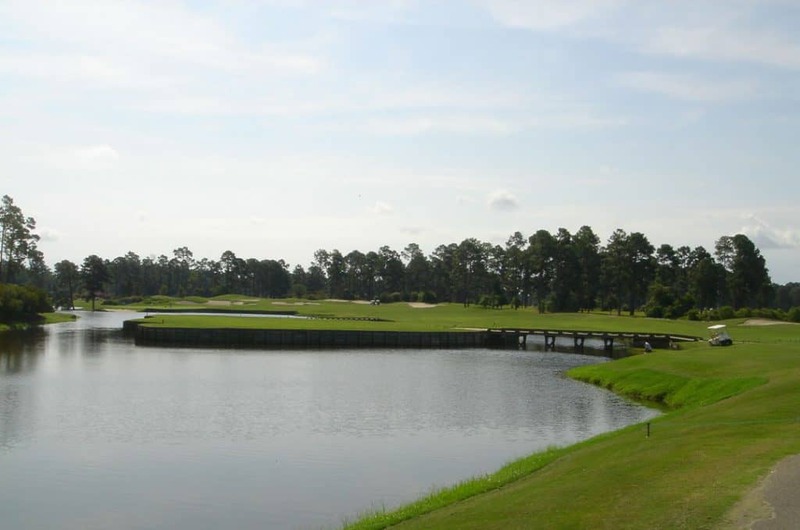 You can find pristine courses that cater to all levels for the casual golfers including Myrtle Beach National courses or The Legends Heathlands Course. There are also some real tests of golf for the low handicappers such as Caledonia, Dunes Beach & Golf Club, and The Barefoot Resort. Some of my favorite Myrtle Beach courses are the unique ones. 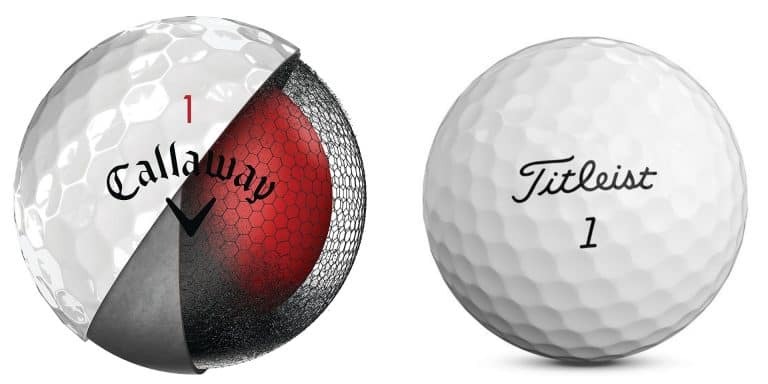 Some may call them gimmicky but if you play a lot of golf then it is kind of cool to see some unique setups. Probably the most famous one of these in Myrtle Beach is “The Gambler” Hole at Kings North. 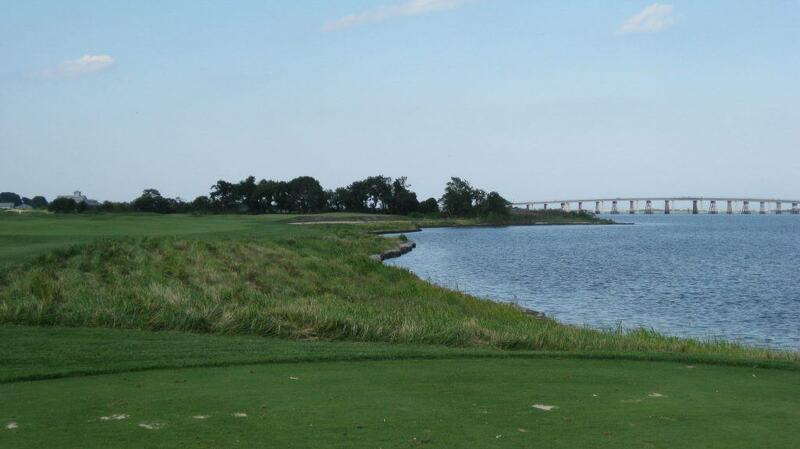 The course is an Arnold Palmer design and Hole 16 is a par 5 with a choice at the tee. You can play the long way on a crescent shaped fairway akin to the 18th at Pebble Beach or you can opt for the shortcut to a narrow island fairway that rewards two precisely aimed shots with an eagle attempt. Yep, that’s right, not an island green, an island fairway. Can you hit a 30 yard wide target at about 200-250? The name is a tribute to the Kenny Rogers song of the same name. You’ve got to know when to hold ’em, know when to fold ’em, know when to walk away, know when to run. In case you were wondering, I made it to the island fairway, then hit the water on the second (much easier) approach shot. I probably should have expected that. You can find great courses anywhere around the world. What really makes an ideal guys golf destination is what else there is other than golf. This is where Myrtle beach really shines. Whether you want a relaxing pub, a bass thumping nightclub, a great restaurant, or even some really fun mini-golf courses…they’re all here and there are so many options for each that you can visit a different place each day. PRO TIP: Mini-golf rounds are much more fun when the loser has to buy the first few rounds at the bar. Every golfer should visit St. Andrews at least once in their lives. In addition to being the birthplace of golf, it is also the largest public golf complex in Scotland with seven courses. The only reason I put this as #2 is because it’s really far (at least for me) and getting a group together for a trip of this magnitude is near impossible. I have not had the opportunity to visit yet, but it most certainly belongs on this list. This is for a group of guys that love the game of golf and all its history. Every step you’ll take on the Old Course is one that was probably taken by some of the greatest golfers of all time. Championship golf has been played here for over 600 years! 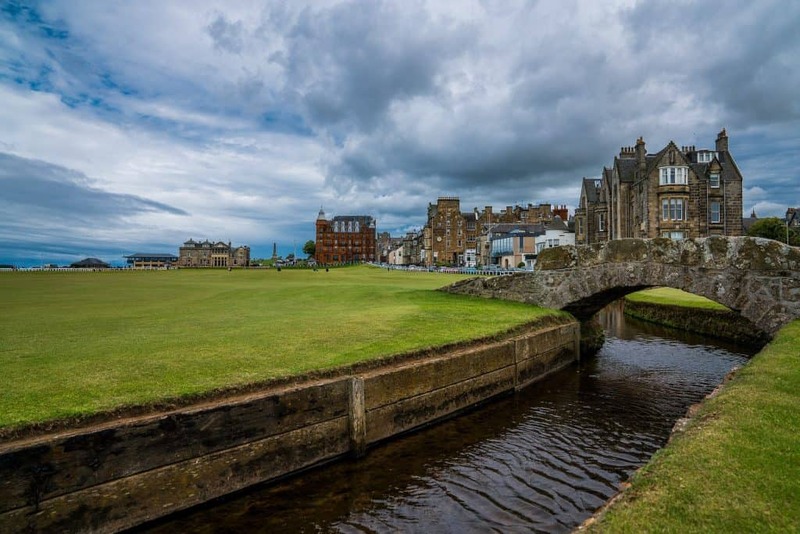 Of course there are plenty of restaurants and pubs in the town, but unlike some of the other entries on this list, a trip to St. Andrews is less about drinking and partying and more about a love of the game. You can stay in a hotel that borders the famous 17th “Road Hole” as well as the incredible Scottish coastline. The town is an historic university town that is home to The University of St. Andrews. If you want some perspective as to the age and history present on this resort, “The New Course” was built in 1895! I am going to go out on a (pine) limb here and put this one above Pebble Beach on the list. They are both amazing courses located in magnificent settings on the California coastline. However, with downtown San Diego 20 minutes away (not to mention U.C. San Diego nearby for the younger guys), this is a much better overall destination for a guys golf trip than Pebble. It’s also less than half the price in greens fees compared to Pebble. Courses Available: 2 at Torrey (North & South) with over 20 other nearby public courses. Local golfers will tell you that while the South Course gets all the hype from the U.S. Open (it is the harder test of golf), but the North Course has better views. Of course no golf travel list would be complete without mentioning Pebble Beach. Set on the Monterey peninsula in California about 2 hours south of San Francisco, Pebble Beach is one of the most iconic courses in all the world and easily one of the top public courses in the world. Other Activities: Fisherman’s Wharf, historic Cannery Row, Monterey Bay Aquarium. If the quality of golf courses is top priority on your list then you’ll have a tough time doing better than Pebble Beach. Pebble Beach Golf Links, Spyglass Hill Golf Course and The Links at Spanish Bay are all on Golf Digest’s Top 50 Public Courses list AND they are all part of the Pebble Beach Resort. So any trip to Pebble Beach will probably include all three. This may be the closest proximity of three courses on that list (I didn’t do the research to confirm that) so it is a great way to check them off the bucket list. Just make sure to book early, they accept tee times for Pebble Beach up to 18 months in advance. Nearby Carmel, is a village with a European feel, full of boutique shops, art galleries, artisan restaurants and tasting rooms from this acclaimed wine region. Just to the south in Big Sur is one of the most celebrated stretches of highway found anywhere. All this sounds great for a romantic getaway but not exactly a golf trip for guys. The Aquarium is cool, but not enough to satisfy groups of guys looking for a party at night. Nearby Cypress Point Club is private and near impossible to get on unless you know a member, so don’t plan on making that one of your stops. You can’t talk about a guy’s trip (golf or otherwise) and not mention Sin City. What happens in Vegas stays in Vegas. Whether it’s the evening activities or one too many triple bogeys, that can be a very good thing. This is the guys golf trip for groups that want to drink, gamble, and partake in all of the assorted other activities that Vegas has to offer. This is not for a quiet group of golf traditionalists so if that’s you, skip to #6. 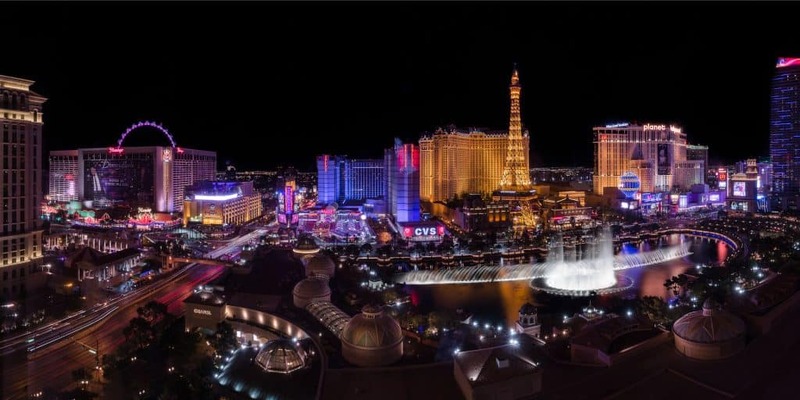 Vegas has always been the first choice destination of bachelor parties, but it can get overlooked for golf trips sometimes because golf certainly is not the primary attraction. But there are some world class golf courses just a short drive from the Vegas Strip. Check out Shadow Creek, once an exclusive private course, it is not open to the public. It is a beautiful Tom Fazio design located about 15 minutes from the strip and accessible to anyone staying at one of the 15 MGM properties (which include the MGM Grand and my favorite, the Bellagio). Don’t miss out on night golf at Angel Park. Who says golf can’t be a part of the nightlife. Another classic collection of courses that is a haven for the purist golfer. You won’t find the bars, nightclubs, or gambling of some of the other entries on this list so Pinehurst is better suited for the group that is more focused on golf than nightlife. Pinehurst No. 2 is one of the most famous courses in the world. It should be on the bucket list of every avid golfer. That being said, where Pinehurst falls short is in the “other activities for guys” department. Sure there are restaurants and bars, but not a lot of real nightlife per se. Of course, amaing golf and quiet evenings may be exactly what your group is looking for. In that case, Pinehurst is the perfect destination for you. Ocean City, MD is Myrtle Beach’s little brother to the north. For those of you that live in the Northeast US, this is a much closer alternative to Myrtle Beach that has a lot of the same characteristics. While it doesn’t have quite the extensive list of courses, it is very similar in most other aspects. I can personally attest to the quality of the restaurants and the fun of the nightlife in OCMD. On the plus side it can be a lot cheaper than it’s larger alternative to the south. Don’t miss the chance to spend a day a Seacrets Bar floating on a raft in the bay while servers bring you drinks. It’s the perfect place to forget about your high scores on the course. There are so many great destinations around the world that I couldn’t possibly research and list them all. If the ones above don’t have what you’re looking for (or you’ve already been to all of them) then here are a few more destinations you may want to check out. Where was your best guys golf trip? What did I leave off the list? Let me know in the comments below and I may add some to the list.